LA GORCE ISLAND 100 LA GORCE CIRCLE MIAMI BEACH. 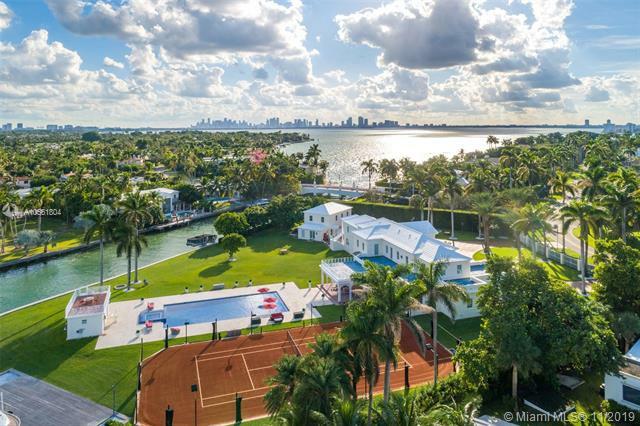 A gated entry & tree lined canopied driveway lead you to the premiere La Gorce Island estate showcasing classic & modern design in coveted Miami Beach gated island location. 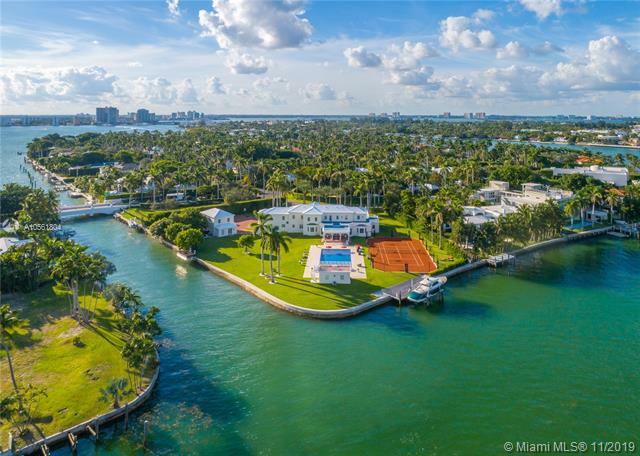 This rare residence has nearly 2 acres of land & 500 ft plus of water-frontage & offers easy access to Ocean, Intracoastal & no fixed bridges to the Bay. The 12,687 total sq. ft. residence offers an ideal floorplan for entertaining w/7 bdrms & 9.5 ensuite baths, 950 sq. ft. custom chef's kitchen & guest wing. Main living area open to covered terrace & an enviable outdoor space is highlighted by the gorgeous pool & spacious patios, spa & wading area. Grounds feature separate guest house, gym + pool house w/full kitchen, bath & rooftop deck. Professionally lit Hydro Tennis Crt, 2 boat lifts + newer seawall. 3 car garage. If you are interested in buying property located at 100 LA GORCE CIRCLE, Miami Beach, FL 33141, call us today! Sale price is $ 23 999 000 ($ 2 378/ft²).